Growing up outside of Philadelphia, I went on countless field trips to historical sites. Independence Hall, Valley Forge, and Gettysburg are a few. As an adult, I’m grateful I had those opportunities, and that I’ve stood in those meaningful places. As an elementary school student, however, I didn’t quite grasp the significance of what I was witnessing. It was a bunch of old stuff. I’ve toured log cabins where Washington’s troops slept, antique furniture used by our Founding Fathers, and grave sites of soldiers who died fighting the largest battle of the Civil War. None of it inspired me to feel any connection to the people who had been there before me. 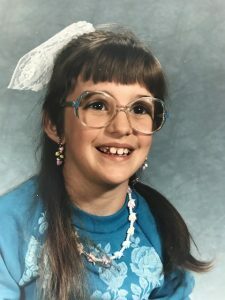 The summer I was eight, I went to a children’s program at a nearby public library. They took us on a tour of local sites of the Underground Railroad. I’m not sure how much I knew or understood about the history of slavery at that point. What I do know is I was stunned as our tour guide pulled up a tattered rag rug from the floor of a dusty old shack. Underneath it, floorboards were removed to allow access to a shallow, musty space under the floor. People hid in there. Not for minutes, while playing hide and seek, but for days. They didn’t come out to pee or eat dinner. I visualized the female slave our guide described, lying cramped and terrified under those floor boards, afraid she may breathe too loudly and be discovered. That’s when I understood. That probably has something to do with why I’m not a fan of slavery era historical fiction. My book club friends seem to like it, so I’ve read a few but I don’t enjoy it. Same goes for WWII era fiction, but people sure do love those too. I understand why books are written about those periods of time, and why some people like reading about them, but they always feel like they aren’t doing the subject justice. Then, I read a blurb online talking about how the railroad in the novel is a literal one. I figured that meant there was a fantasy component to the story so I became interested. After a friend, who was raised in Southern California, told me she had to do a Google search after finishing the novel, to determine whether or not it was historically accurate, I got my hands on a copy so we could compare notes. First of all, let me say there is no fantasy element to this book at all. Not even remotely close. I’m ashamed of myself for even thinking there could be. This book blew my mind, and kicked me in the gut. I still can’t fully comprehend that it’s a work of fiction. It feels like it was written by a first hand witness to the atrocities described. I could feel the heat in the attic, smell the burning flesh of a punished slave. Reading this book was not an enjoyable experience. I’m a reader who can plop down on the couch and get through 100 pages of a novel in one sitting. 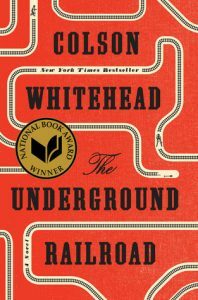 With The Underground Railroad, I read maybe a dozen pages at a time. I’d have to set the book aside and process what I’d read. Each time I picked it up again, I had to mentally prepare myself. Yet I never considered quitting the book. It’s gritty and brutal, but it’s important. It’s important because…because it is. Because this is the closest we can ever get to understanding what happened during that time in our Nation’s history. 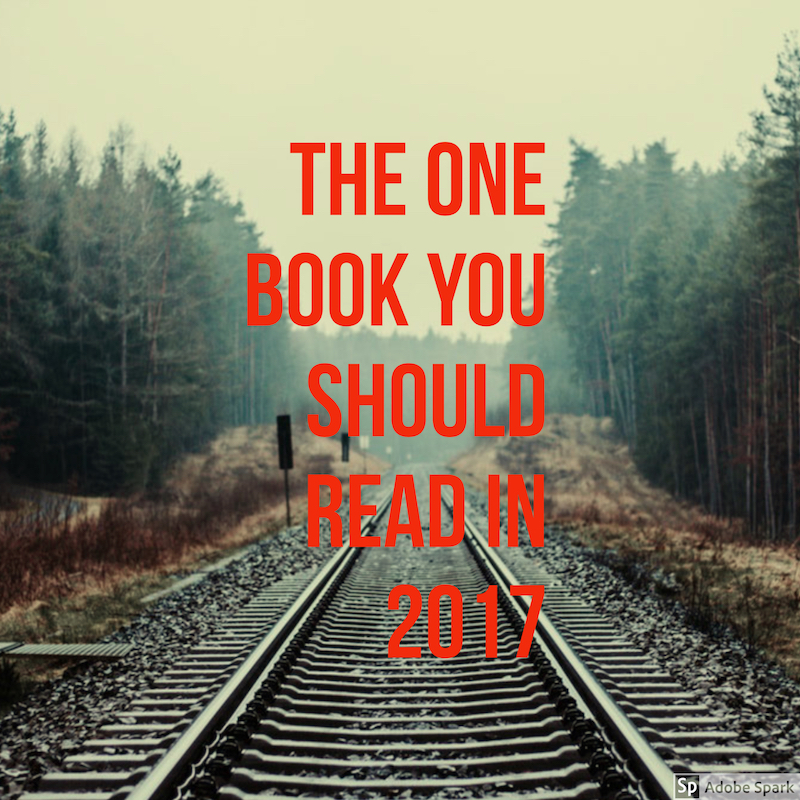 You don’t have to like the book, but you should read it. So why do I love this book when I’ve disliked every other slavery era novel I’ve read? I’m still contemplating that, months after reading it. There are some gruesome graphic scenes in this book. I’m typically bothered by those types of scenes and this was no exception, however they aren’t gratuitous scenes, and that’s what makes it important. Those scenes add to the story because they are the story. Have you read The Underground Railroad yet? If so, what did you think? If not, why not? I am so glad I read this, and being one of your book friends who devours these novels I was proud of you for finishing it. The writing is so pure and raw and brutal I couldn’t put it down. I feel it is my duty to keep reading these difficult pieces and try to understand how and why these awful things happen and that if hope and salvation can triumph in these horrific times, then I can still have hope that the world we have made today can and will survive with goodness and grace. Intense is the right word, but definitely worth it. It was a very unique reading experience.